Occultist Howard Vernon returns with a long-overdue title on working with the Nightside Spirits of the notorious Medieval Grimoire known as Ars Theurgia (the Art of Magick). In his usual fashion, Vernon presents of fascinating system of simple, effective Magickal Workings drawing upon the heart of this most fascinating of methods of working with these powerful, dark entities of yore. Far from being a scholarly system, Vernon demonstrates that the Ars Theurgia is a living, BREATHING system, which has withstood all of the tests of time, and produces results which can only be described as extraordinary. 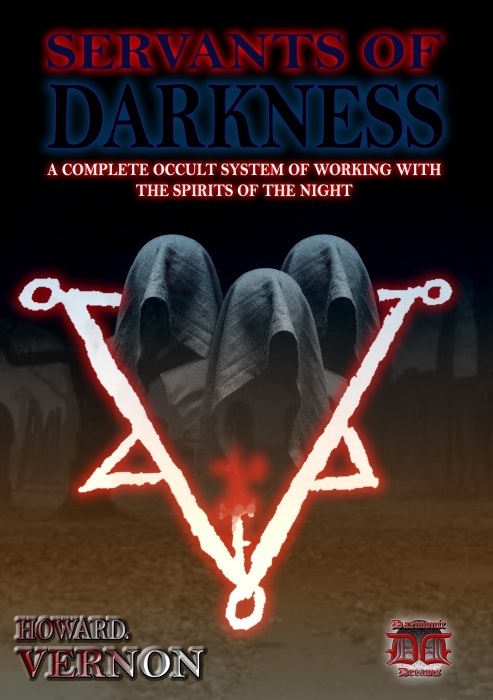 Within the pages of this fascinating book, Vernon guides you - in plain English - through all the steps required to both make direct contact with a veritable host of Nightside Spirits AND petition them to do your bidding, in line with their recognised duties and responsibilities; all of which are provided in detail. Ideal for both the complete novice Occultist or experienced practitioner of The Magickal Arts, SERVANTS OF DARKNESS has been written to provide access to a feast of Ritual uses, all of which are designed to enhance your quality of life, status and influence. ...And a VAST amount more!